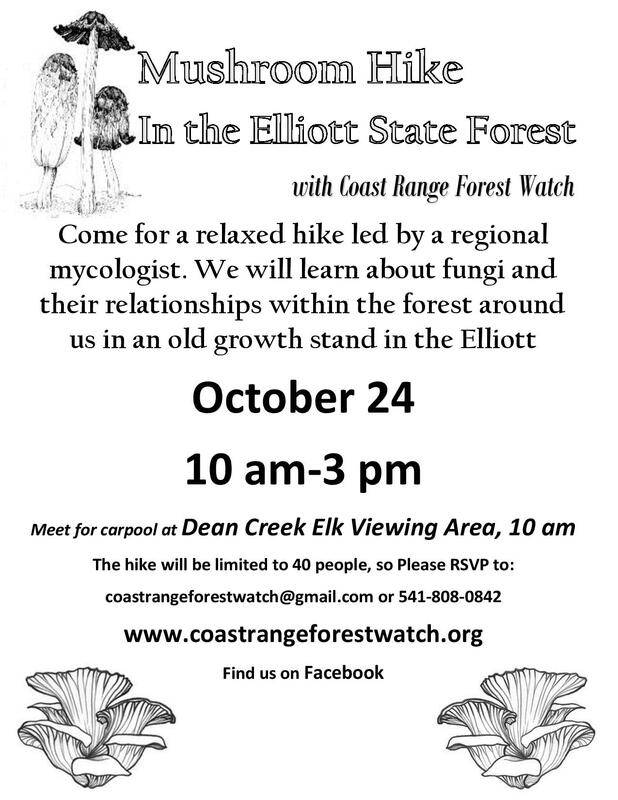 Thanks to all who attended our hike in the Elliott State Forest to talk about the Oregon Forest Practices Act (OFPA)! Recently, the OFPA has been under increasing pressure from residents of rural areas concerned about the health effects of industrial logging and herbicide spraying. Our group enjoyed a beautiful winter day along the banks of the West Fork Millicoma River and learned a lot about the history of the area from David Gould, whose ancestors homesteaded deep in the forest in the 1800s before it was a State Forest. 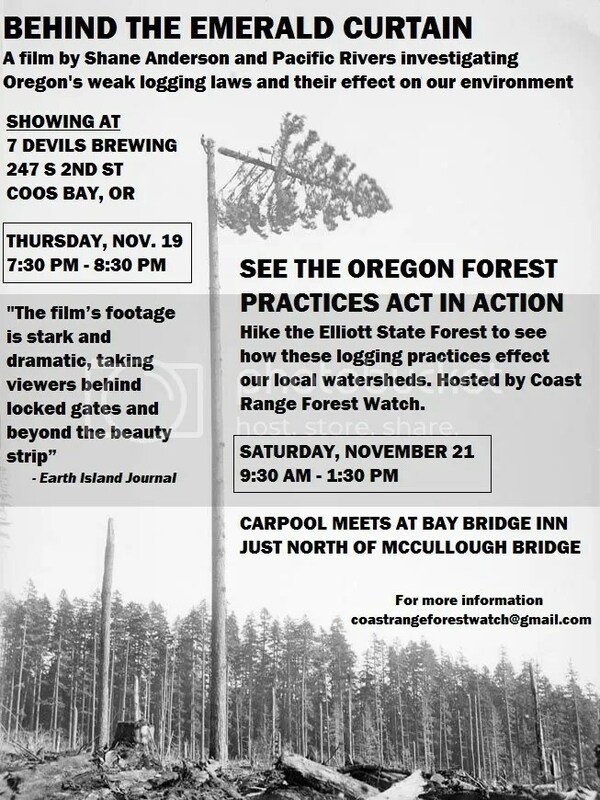 The hike followed a screening of a new documentary about the need to reform the OFPA called Behind the Emerald Curtain. Our next documentary screening is just around the corner on December 13, we will be posting information on that screening shortly! 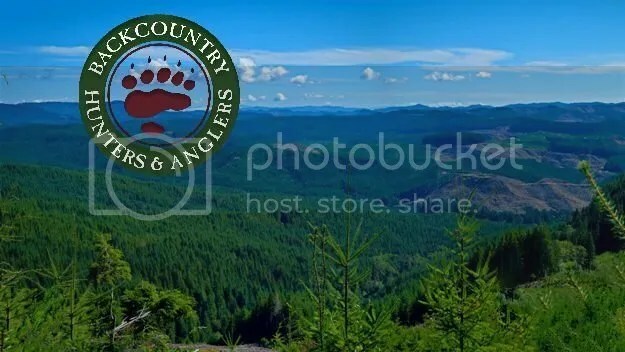 The Backcountry Hunters and Anglers have initiated a petition to the Governor and State Land Board to tell them to keep the Elliott State Forest in public hands! 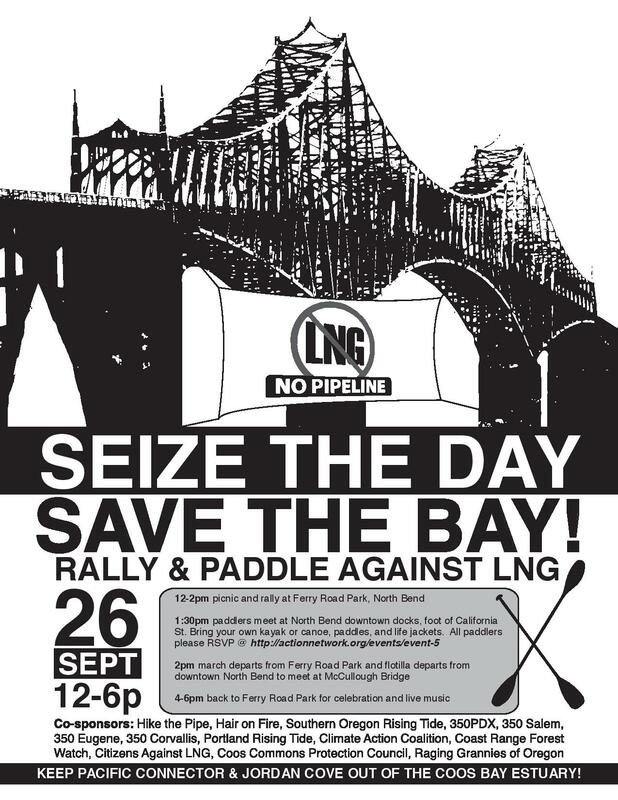 Please click on the image below to sign the petition! 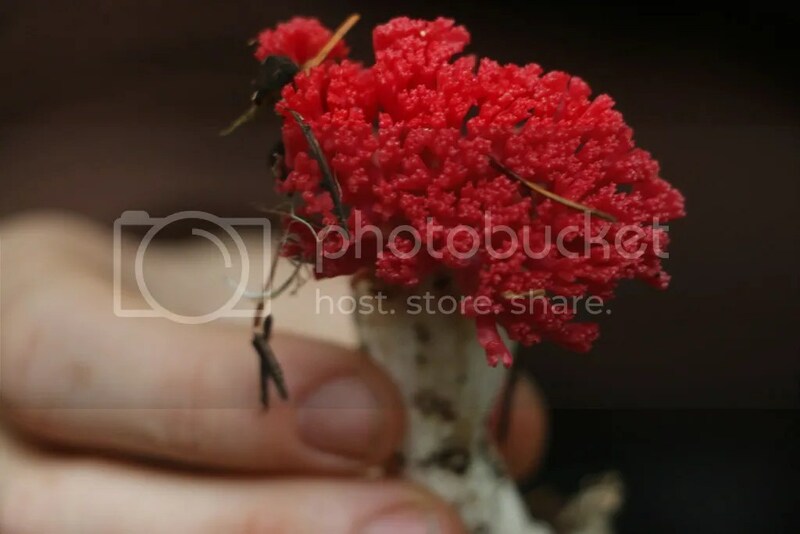 Fall Mushroom Hike a Huge Success! Thanks to everyone who attended our Fall Mushroom Hike and Workshop last month and special thanks to our guide Maria for teach us about fungi in the Elliott State Forest. We visited some beautiful ancient forest and learned a ton. We were even joined by a whole van of kids from the Boys and Girls Club of Wilsonville!